The Bears started the season as underdogs, but that’s not how they’re ending it. 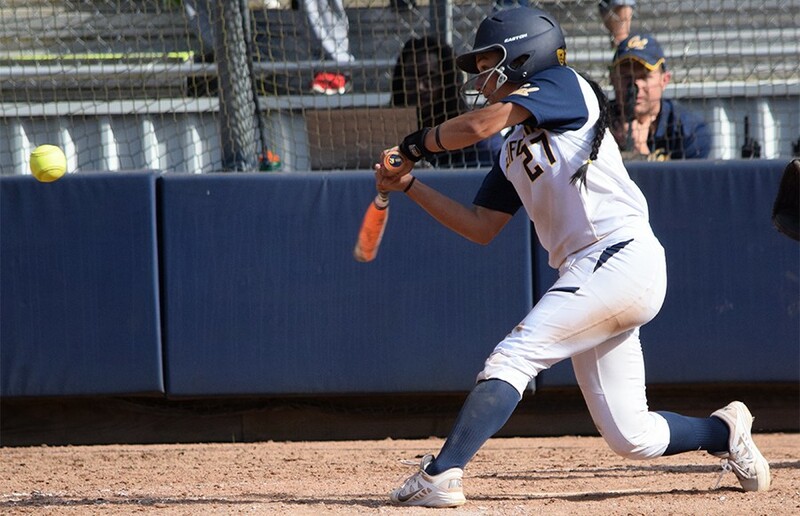 The Cal softball team’s road to the Women’s College World Series came to an end this past weekend after losing to then-No. 3 Michigan and Pittsburgh in the NCAA Regionals in Ann Arbor, Michigan. Despite the loss, the Bears walked away from this season accomplishing one of their biggest goals: to return to the NCAA tournament after a dismal season last year that ended in a nine-game losing streak. The 2015 season saw a Cal squad made up of mostly the same players as last season, all of whom were looking for redemption after missing postseason play for the first time in 29 years. All eyes were focused on the pitchers, who finished last season with a 5.38 collective ERA and would be returning to the circle for the Bears this year. 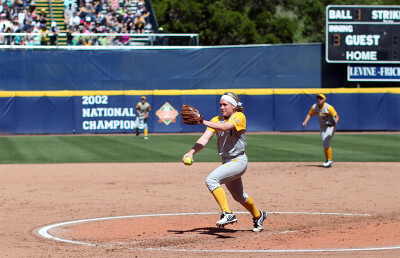 Under the new tutelage of Cal assistant coach and acting pitching coach Chuck D’Arcy, sophomore pitchers Katie Sutherland-Finch and Stephanie Trzcinski thrived and consistently delivered solid games for the Bears throughout the season. Though she didn’t see as much action as the sophomore duo, junior pitcher Nisa Ontiveros also delivered consistent performances in the circle, ending the season with a 5-1 record. The pitching staff recorded a collective 3.95 ERA for the season. Cal also had its best offensive lineups in program history this season, finishing with a program-high team batting average of .334. With speed at both the top and bottom half of the lineup — and with players capable of hitting the long ball throughout — the Bears’ offense was mostly solid, other than a few minor hiccups during the season. Freshman center-fielder Jazmyn Jackson led the lineup, and she had a stellar debut year, with a .446 batting average to go along with her impressive 1.000 fielding percentage. 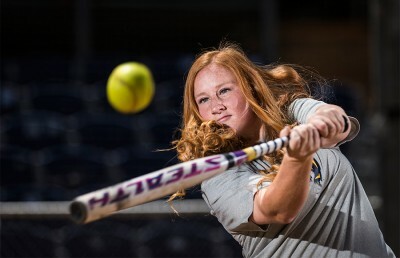 Freshman first baseman Kobie Pettis was also a staple for Cal this season, delivering key hits during the last half of the season and recording a .978 fielding percentage. Both Jackson and Pettis earned Pac-12 All-Freshman honors. With the freshmen bringing an influx of energy to the lineup, the veteran players treated last season as a mere bump in the road. Senior captains Vonk, Danielle Henderson and Cheyenne Cordes provided steady, reliable performances for the Bears after stepping into the leadership role. Vonk recorded a .421 batting average and a .525 on-base percentage on the season, making it to first base, at least, more often than not. Henderson was voted to the All-Pac-12 First Team and All-Defensive Team, leading Cal with a .775 slugging percentage and 15 home runs. Cordes had a whopping 76 RBIs, the second highest in the Pac-12, and a team-high 16 home runs for the season. Cal finished with a 39-18 record, which is remarkably better than the 23-29 record it finished with last year. Although the Bears’ journey to the Women’s College World Series may have been cut short, the Bears’ goal to prove that last season was an outlier in an otherwise-successful program history was accomplished.